Senate Farm Bill Has Valuable Cuba Provision; House Version Doesn't; A US$200 Million Question — U.S. - Cuba Trade and Economic Council, Inc.
Will Cuba Provision Be In Farm Bill President Trump Signs Into Law? Are FMD & MAP The Best Incentives To Get More? Individuals who have invested at least twenty-six (26) years in following the relationship between the United States and the Republic of Cuba have viewed a legislative process that, in an abbreviated manner, is now revisited by the United States Congress. Could, however, this time have a different outcome? Senate Sub-Committee passes. Senate Committee passes. Senate passes. House Sub-Committee passes. House Committee passes. House passes. Conference Committee considers. Member of Congress issues media release or makes statement proclaiming intent to block legislation unless provision becomes law. Provision stricken from final legislative language passed by Senate and House. Legislation without provision signed by President and becomes law. During the last twenty-six (26) years, there have been three (3) Republic of Cuba-focused legislative initiatives that have become law: 1992 Cuban Democracy Act (CDA), 1996 Libertad Act (“Helms-Burton”), and the 2000 Trade Sanctions Reform and Export Enhancement Act (TSREEA). For perspective, it’s been eighteen (18) years or 6,451 days since the last Republic of Cuba-focused legislative initiative became law. Could this time be different? The Republic of Cuba-related legislative language in what is known as the once-every-five-year “Farm Bill” expected to be approved by the United States Senate (S. 3042) this week is not in the legislative language passed by the United States House of Representatives (H.R. 2). 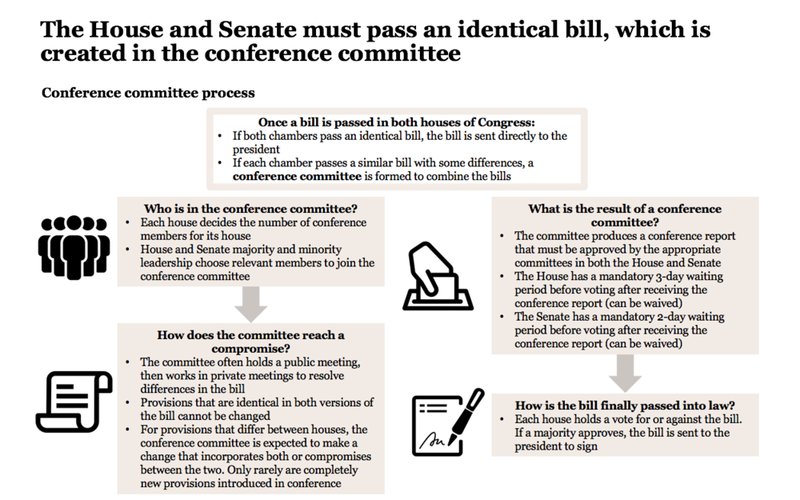 If the United States Senate retains the Republic of Cuba-related legislative language, a bicameral conference committee will determine the fate of the Republic of Cuba-related legislative language. On 18 June 2018, the United States Senate Committee on Agriculture, Nutrition, & Forestry reported, on a vote of 20-1, S. 3042 [Link To Text], the 1,210-page The Agriculture Improvement Act of 2018 which included an amendment on page 248 [Link To Text] authored by The Honorable Heidi Heitkamp (D- North Dakota): “To provide for the use of market access program and foreign market development cooperator program funds in Cuba.” In Fiscal Year 2018, the total expenditures for these two programs was US$200,287,394.00. On 21 June 2018, the United States House of Representatives passed H.R. 2 [Link To Text], the 748-page Agriculture and Nutrition Act of 2018 by a vote of 213-211. Since 2000, when the TSREEA re-authorized the direct export of food product and agricultural commodities from the United States to the Republic of Cuba, more than US$5.6 billion in food products and agricultural commodities have been delivered to the Republic of Cuba on a “cash in advance” basis as required by the TSREEA. Thus far in 2018, TSREEA-authorized exports to the Republic of Cuba have increased 25% compared to the same period in 2017. The government of the Republic of Cuba requires United States-based food product and agricultural commodity companies to contract with a single entity, Republic of Cuba government-operated Alimport. The primary purchases from the United States are poultry, corn, soybeans, soybean oil, soybean oil cake, bulk chocolate, soups, calcium phosphates, beer and cookies. The government of the Republic of Cuba maintains that statutory prohibition on payment terms and financing are the primary impediments to increasing purchases; and banking regulations currently require third-party payment processing and impede currency use in transactions. Proponents have focused the provision narrowly rather than expansively with respect to seeking a change to a United States statute. This focus creates a greater likelihood, but not guarantee, of success. The provision does, however, include the use of United States taxpayer funds which in previous legislative initiatives has deliberately been absent due to opposition. Supporters of the provision authored by Senator Heitkamp need to have an answer to: The government of the Republic of Cuba has but one designated purchaser for food products and agricultural commodities from the United States - Alimport, whose purchasing decisions are primarily based upon which country source provides payment terms with the longest duration. Exporters from other countries of durables, consumables and consumer products to the Republic of Cuba prepare for terms of up to 720 days. Does Alimport, after purchasing food products and agricultural commodities since 2001 from the United States require further convincing about the value of those purchases to the 11.3 million citizens of the 800-mile archipelago? Isn’t the primary question payment terms? How do FMD and MAP address those issues? Those who support the changes to the FMD and MAP should ask those entities who would likely have access to the new United States taxpayer funding source to state publicly how much funding they would probably request and what they would do with those new resources. Supporters need to articulate the benefits to be obtained and the process for measuring results for the expenditures of United States taxpayer funds for activities within the Republic of Cuba. If the government of the Republic of Cuba were to demonstrate that it would approve of FMD and MAP expenditures, and specifically approve of the goals and objectives of FMD and MAP, that confirmation could benefit those who want to assist the Republic of Cuba. Entities within the Republic of Cuba should offer what they, as receivers of the outreach, would want to see done with the FMD and MAP funds. What do they need and why do they need it now. 1) When legislation is introduced to remove the “cash in advance” payment requirements of the TSREEA, are there United States-based financial institutions whose executives publicly present themselves at hearings to confirm that they will provide financing and specify the type of financing they will provide for the export of food products and agricultural commodities from the United States to the Republic of Cuba? No, there are not. 2) When legislation is introduced to remove the “cash in advance” payment requirements of the TSREEA, are there United States-based food product and agricultural commodity producers and exporters whose executives publicly present themselves at hearings to confirm that they will provide payment terms (and perhaps financing) and specify the type of payment terms (and perhaps financing) they will provide for the export of food products and agricultural commodities from the United States to the Republic of Cuba? No, there are not. The government of the Republic of Cuba’s absence from articulating what it would do if changes were made to specific statutes remains unhelpful. If the government of the Republic of Cuba were to say “if this happens, we are prepared immediately to do…” there would be a benefit to supporters of legislation (and to changes in policy and regulations). The list of reasons for the failure of legislative initiatives which have been introduced often on an annual basis by Members of Congress who serve in the United States Senate and United States House of Representatives is lengthy and bewildering because of a marketing ineptitude of sponsors, co-sponsors and private sector advocates. Much more could have been accomplished and can be accomplished through changes to policy and regulations, but those failures-of-action remain self-evident and often removed from consideration due to a lack of strategic vision. Focusing upon changes to policy and regulations are said to not be “convenient” or are “confusing” or a “distraction” to [thus far failed] legislative efforts. Republic of Cuba-focused advocacy groups prefer the likely revenue stream opportunities from promoting legislation rather than changes to policy and regulations. Opponents of the language within S. 3042 will focus upon the use of United States taxpayer funds to provide financial gain to the newly-installed Diaz-Canel Administration in the Republic of Cuba while providing little, if any value to United States exporters. By funding visits to and activities within the Republic of Cuba, individuals subject to United States jurisdiction will be bringing revenue into Republic of Cuba government-operated companies, including hotels, restaurants, event venues, and internet/wireless communication systems. With substantial support in the United States Senate for the language in S. 3042, opponents will be arguing against incrementalism; seeking to demonstrate that such small movements become the foundation for ever-larger changes to United States statutes without commensurate benefits. Opponents may attempt to insert language during the conference committee deliberations that would: 1) require FMD and MAP United States taxpayer funds be restricted to Airbnb-registered properties and privately-operated paladares (restaurants), 2) restrict marketing expenditures to media (newspapers, magazines, television, and radio) which is not owned by the government of the Republic of Cuba, 3) restrict focus to independent agricultural cooperatives, 4) require expenditures be subject to per visit audits by the Office of Foreign Assets Control (OFAC) of the United States Department of the Treasury, 5) restrict the total value of FMD and MAP taxpayer funds that the USDA may allocate to cooperators and participants, 6) link expenditures with the conclusion of the investigation by the United States Department of State into the matter of injuries sustained by United States Embassy personnel in Havana, Republic of Cuba, and the return of a full complement of diplomats to the Republic of Cuba, 7) require the United States Secretary of Agriculture to report to the United States Congress prior to any distribution of Republic of Cuba-related funds for FMD and MAP, and 8) prohibit funds to any United States political advocacy organization. Opponents will also ask if the Republic of Cuba is of such value, why don’t the twenty-three (23) cooperators in the FMD and the sixty-six (66) participants in the MAP continue to use their member-dues resources? Opponents will argue that the government of the Republic of Cuba, knowing a portion of approximately US$200 million in United States taxpayer funds are available, will pressure cooperators and participants to use funds in the Republic of Cuba as a means of demonstrating political support for the government of the Republic of Cuba and a not-too-subtle message: if an organization wants its members to receive orders for food products and agricultural commodities, let’s see just how important a market is the Republic of Cuba for organization members and United States taxpayers whose monies will be used to support those efforts. Opponents could determine that an effort to strip the Republic of Cuba-focused provision from the Farm Bill would not be necessary because permitting the provision may then be used to focus additional attention on the inadequacies of the Republic of Cuba marketplace. That’s one challenge that proponents would accept. For Fiscal Year 2018, the United States Department of Agriculture (USDA) allocated US$26,484,947.00 in taxpayer funds to twenty-three (23) cooperators [see list at end of analysis or use link] under the Foreign Market Development Program (FMD), an average of US$1,021,084.00 per distribution. For Fiscal Year 2018, the USDA allocated US$173,802,447.00 in taxpayer funds to sixty-six (66) participants [see list at end of analysis or use link] under the Market Access Program (MAP), an average of US$2,633,370.00 per distribution.